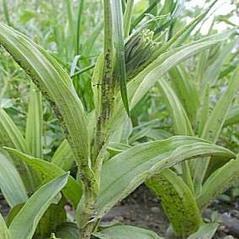 Accepted Synonyms: Helleborine palustris, Limodorum palustre. 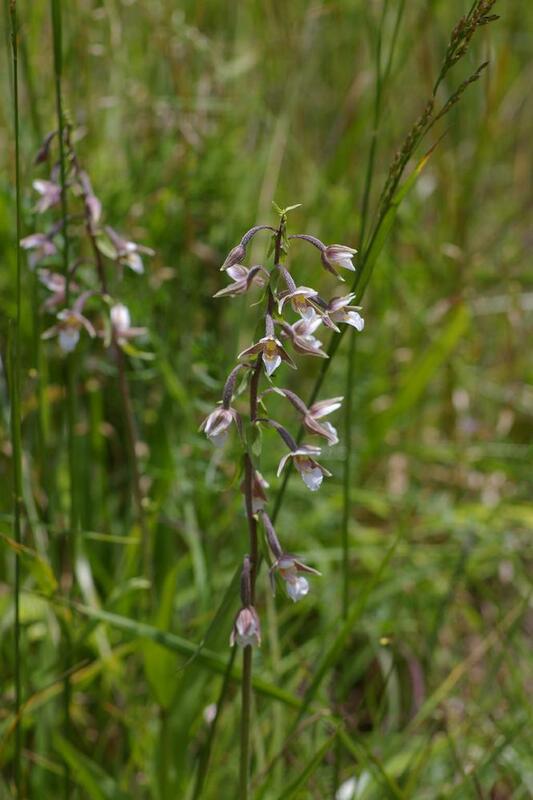 Epipactis palustris, the Marsh Helleborine, is widespread and forms dense colonies in its native Europe and Asia. This orchid was introduced into a limestone quarry in Pennsylvania in 2007 and now a population of over 100 plants is established. Prior to this introduction, herbarium records indicate this species was collected in central New York. 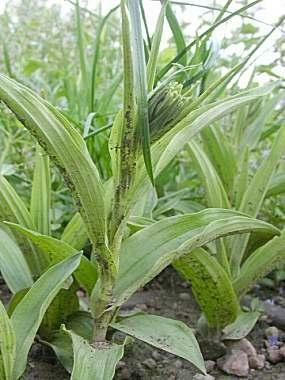 This orchid bears broad funnel-shaped leaves that clasp the lower stem. 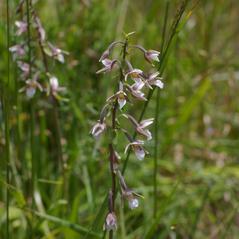 The inflorescence usually has fewer flowers than other Epipactis species and are more or less tinged with a rose, red or brown coloration with a whitish labellum. 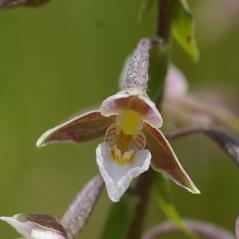 This orchid grows in full sun and prefers nutrient-poor, damp to wet sites with relatively short, open vegetation. 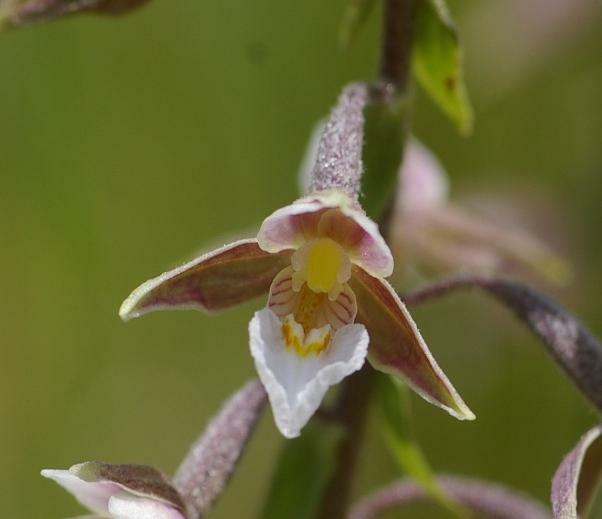 The conservation status for Epipactis palustris has not been reported for North America but populations are declining in Europe where it is threatened by habitat drainage and the enrichment of groundwater by fertilizers.